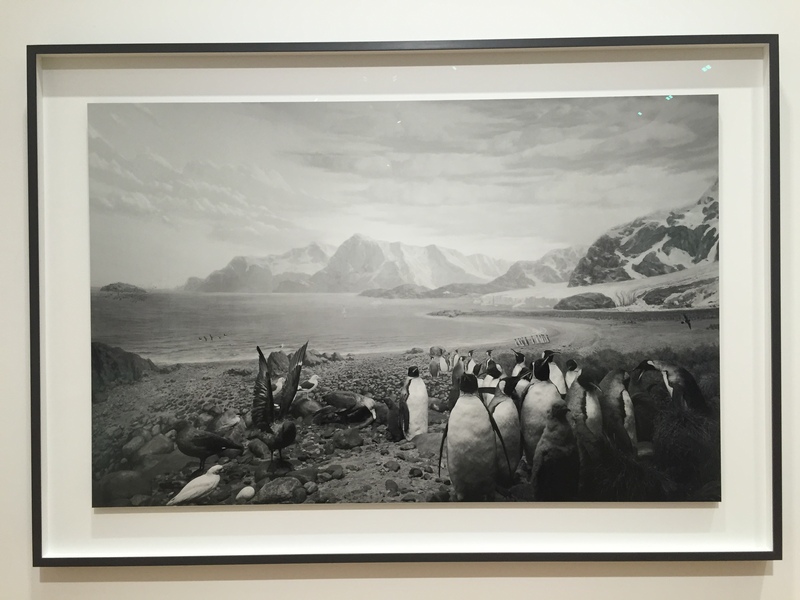 Pace Gallery has organized a photo exhibition of Hiroshi Sugimoto, a Japanese photographer (b. 1948 in Tokyo) “Still Life” which is part of Dioramas series, which takes place at 6 Burlington Gardens next to the Royal Academy of Arts. 13 large-scale works, all gelatine silver prints, are displayed to the public in a spacious room in which all the pieces co-exist and complement each other. Even though the space is large, it fills with visitors quickly. 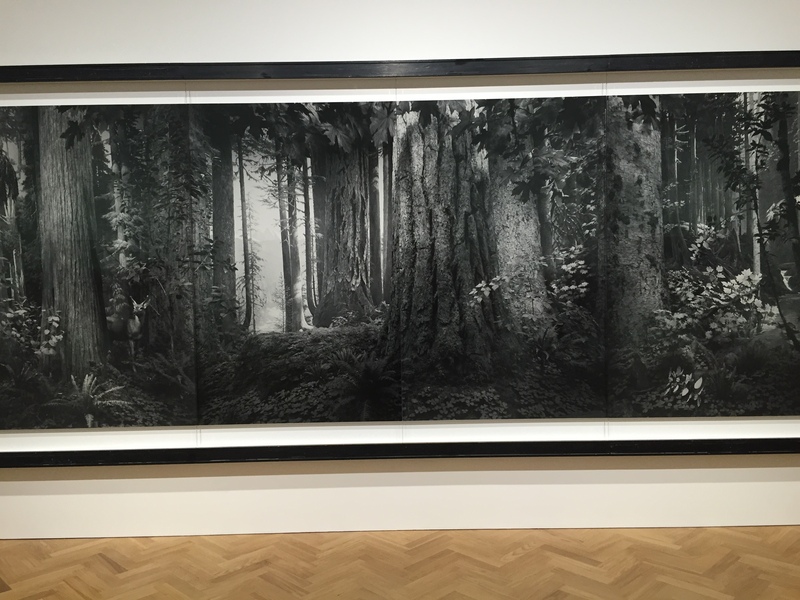 The central piece “Olympic Rain Forest” is an extremely large (185.4 cm x 477.5 cm) photograph of a forest, which Sugimoto had to print in 4 sections. 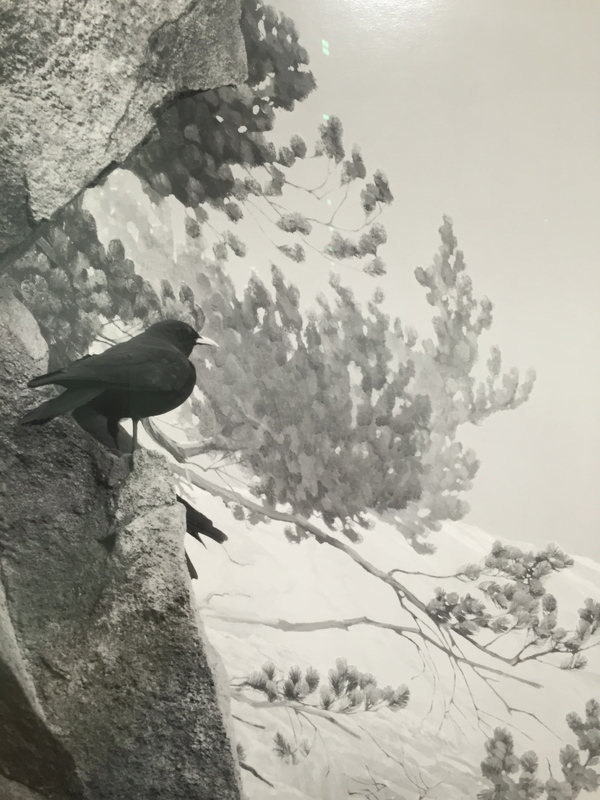 The 1st edition of 5 was sold for $400,000 before the opening of the show; however, if someone is interested in buying one, another edition can be imported upon request. 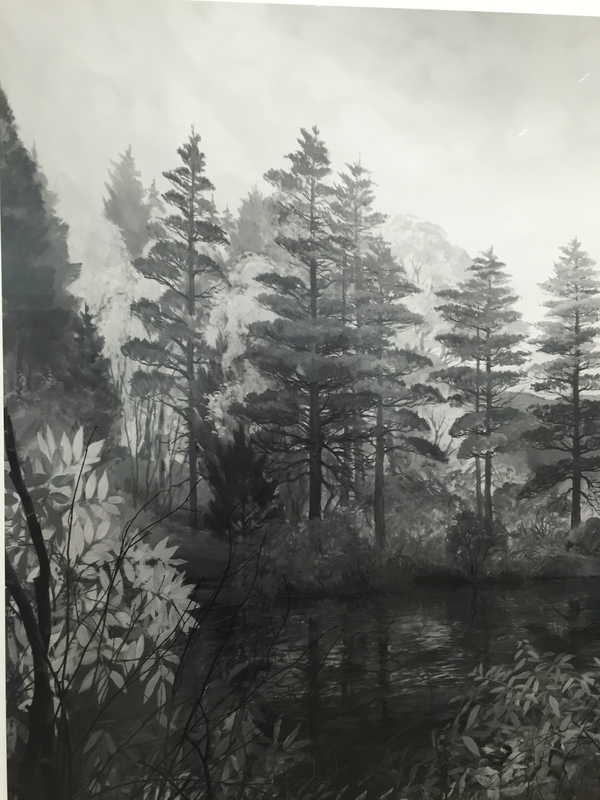 The large size of the works allows the viewer to plunge into nature and almost breathe in the fresh air. Nature is seen very fragile and create an atmosphere of harmony. It is fascinating how a setting from a museum can look so natural and alive. 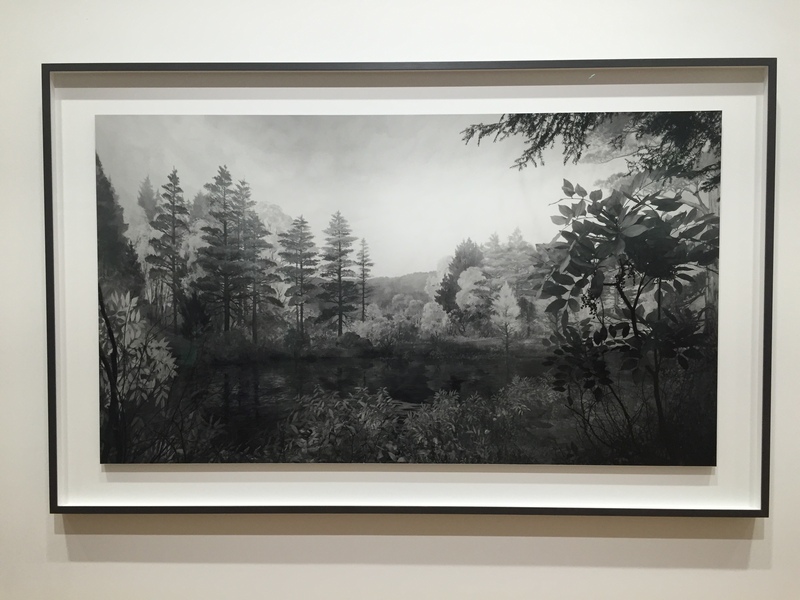 Unlike Ansel Adams, who also creates bold black and white photographs of nature, Sugimoto’s photographs look like if they were paintings, the lines are blurred and you can almost see the brushstrokes. All the photos are black and white, which allows you to concentrate on the landscapes and wildlife rather then be distracted by the bright colours. 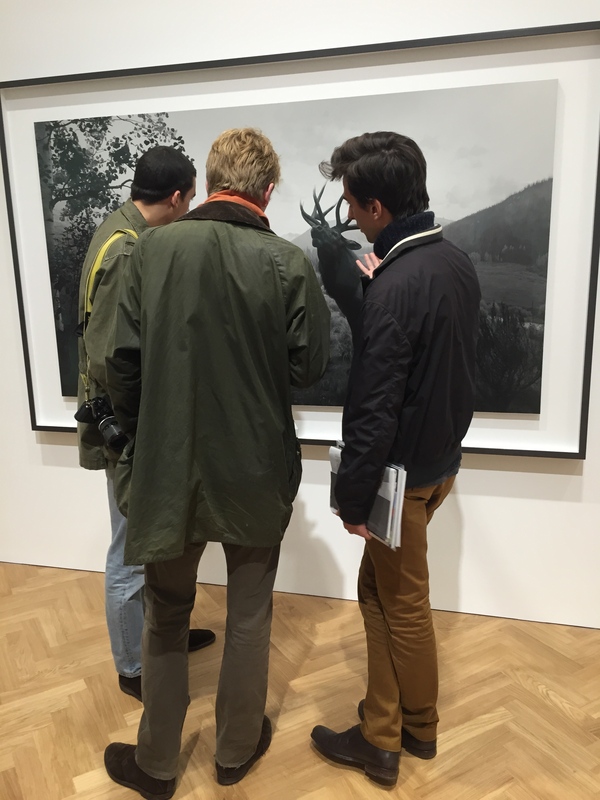 Visitors are absorbed in the exhibition and discussing photographs’ composition, tones and perspective. 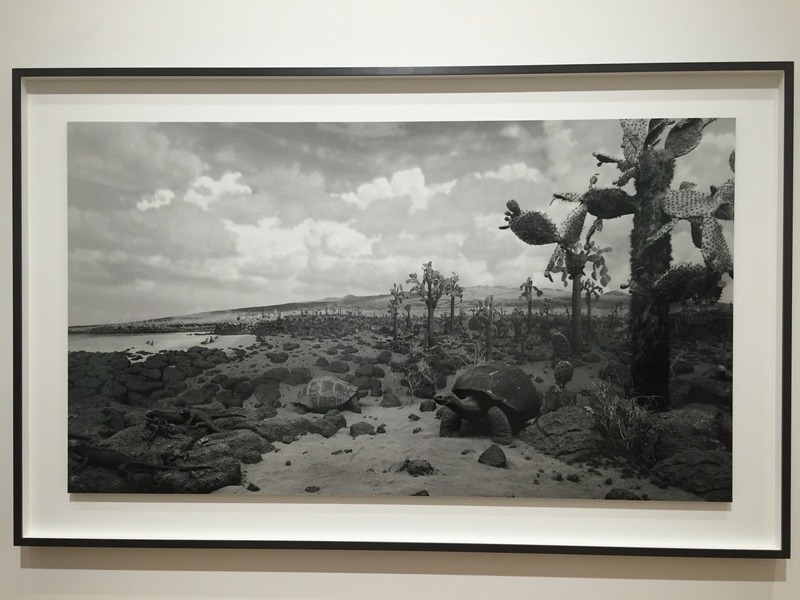 The photographs are pleasant to look at, bring an air of calm to the viewer. Personally, I enjoyed the show and will return to see it again. It gave me a moment of peace in a dynamic everyday life. More academic version of review is also available at ArtWorldNow. Would love to visit! could you, please, tell me if the exhibition is still on in Pace? Unfortunately, it finished in January.